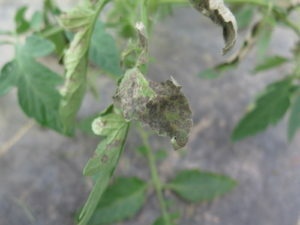 Tomato spotted wilt virus can cause stunting (Figure 1), necrotic ring spots (Figure 2), mottling (Figure 3) or chlorosis (Figure 4). In Figure 5, a pepper plant is shown with a ring-like lesion due to tomato spotted wilt virus. 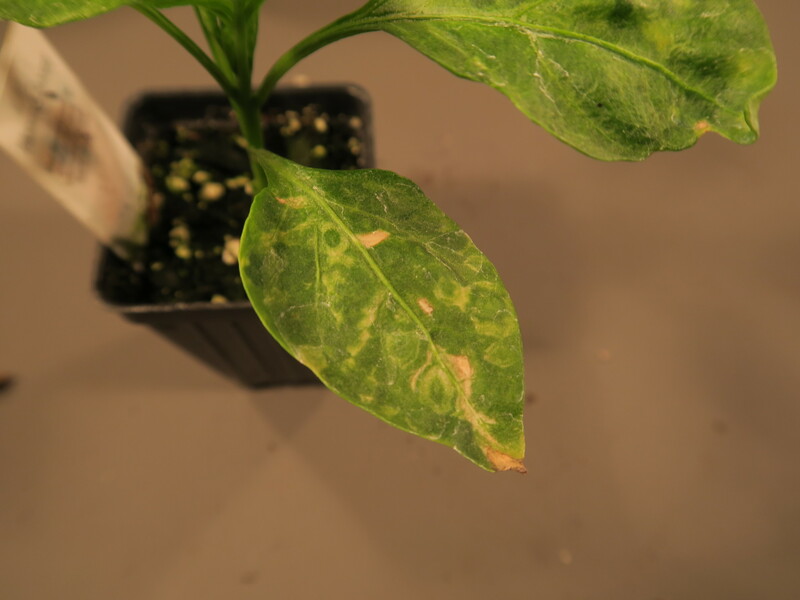 Figure 6 is a photo of a pepper transplant with mottled lesions due to impatiens necrotic spot virus. 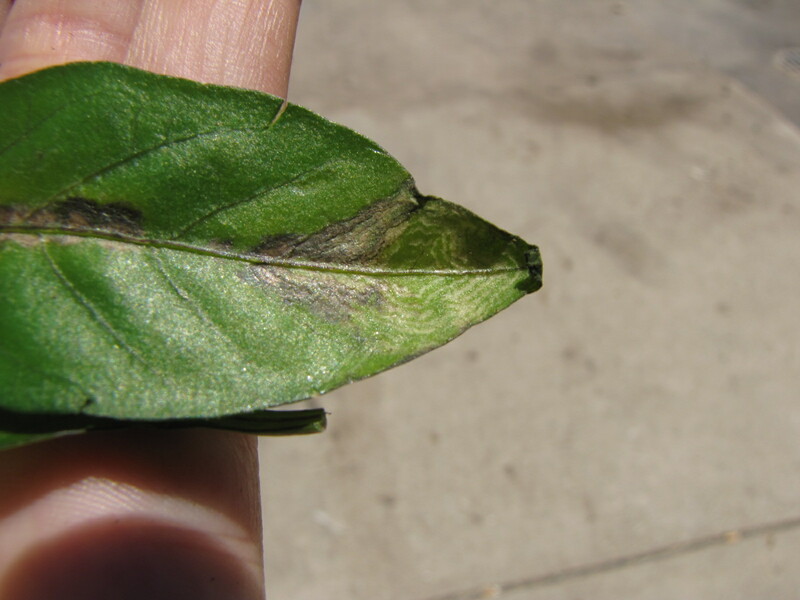 Both TSWV and INSV can cause symptoms on many hosts including ornamentals. Figure 7 is a photo of INSV symptoms on begonia. For more information about the biology and management of these diseases see here. Figure 1. Tomato spotted wilt has caused these tomato plants to be stunted. Figure 2. 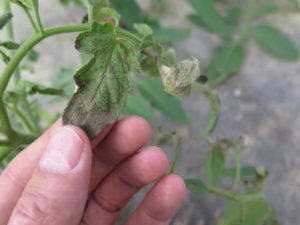 A tomato with tomato spotted wilt virus has necrotic ring spots. Figure 3. Mottling of a tomato leaf caused by tomato spotted wilt virus. Figure 4. 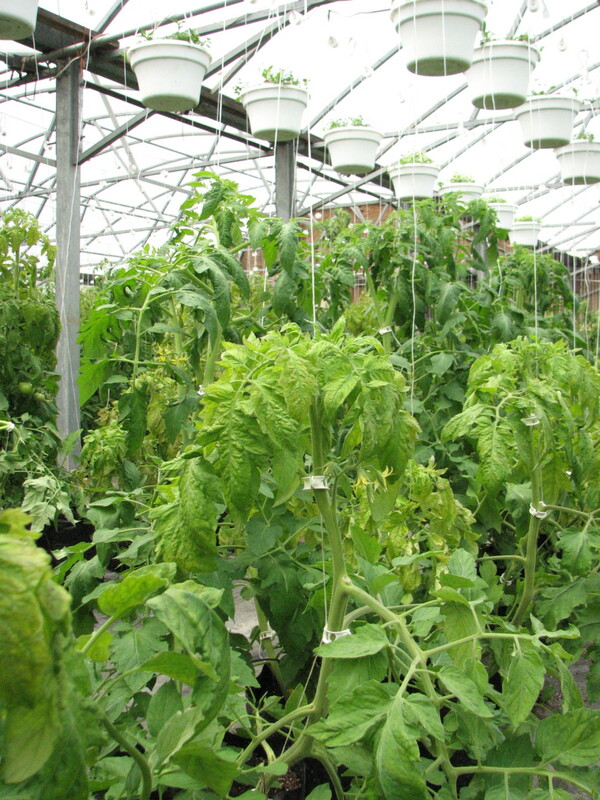 Tomato spotted wilt virus has caused the tomato plant in the foreground to be chlorotic. Note the hanging baskets of ornamentals in the greenhouse which may be a source of the thrips that transmit TSWV. Figure 5. 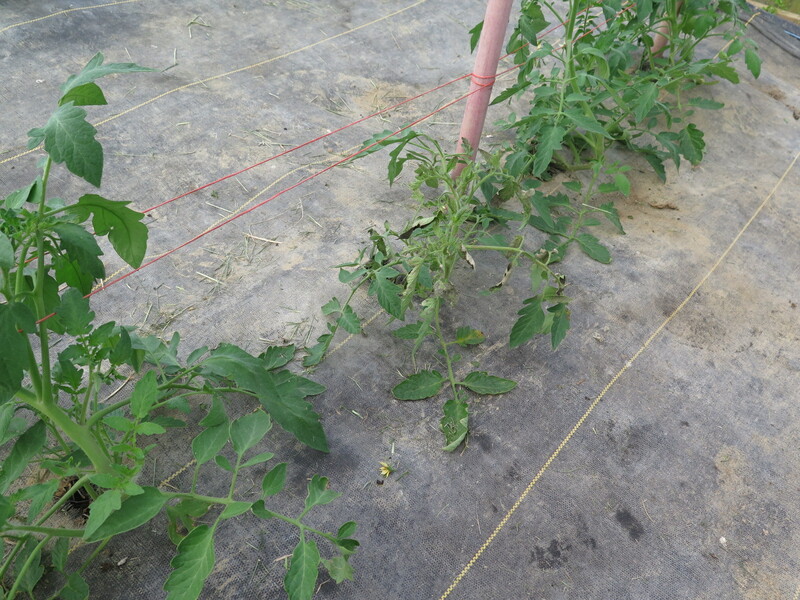 Tomato spotted wilt has caused a ring-like lesion on pepper. Figure 6. Ring spots caused by impatiens necrotic spot virus on pepper. Figure 7. 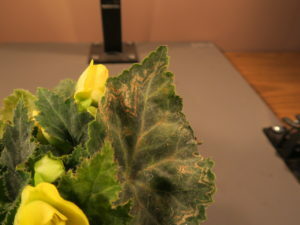 Impatiens necrotic spot virus has caused this mottled symptoms on begonia.